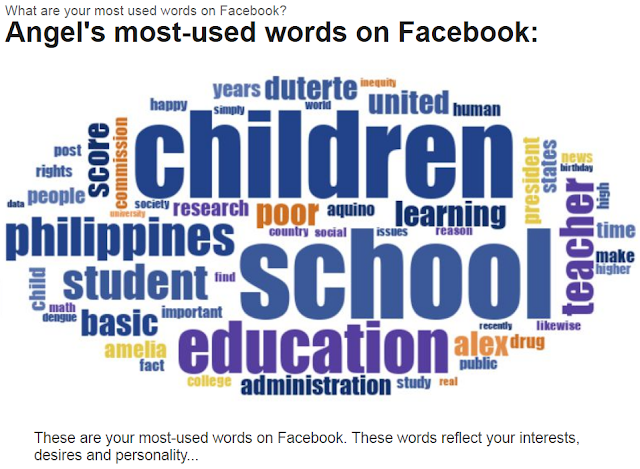 QuizzStar has an app that looks at one's most used words on Facebook. Mine is shown below. My Facebook posts do reflect the contents of this blog. With a couple of days now into a new year, I cannot stop but think if it is possible for the Philippine government to address the problems and improve basic education in the country. 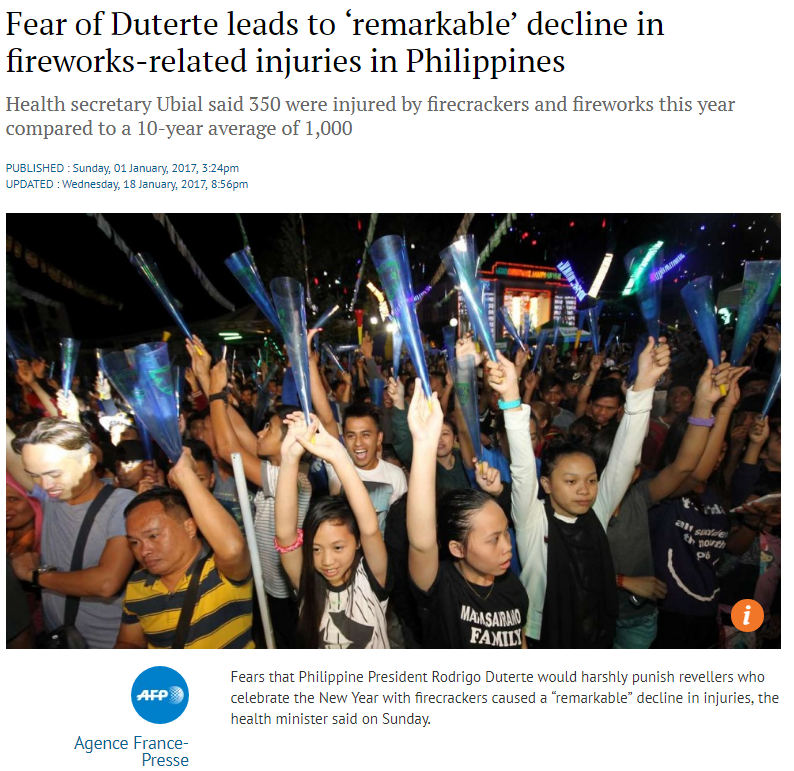 If Duterte can lower the number of fireworks-related injuries during the celebration of New Year, it is perhaps possible. The Department of Health in the Philippines is reporting that this year's celebration marks one of the lowest number of cases of deaths and injuries due to firecrackers and fireworks. Duterte did sign an executive order banning fireworks displays in residences back in June 2017. Hundreds are still reported to be injured, but this number is significantly lower than the ten-year average of at least a thousand. Growing up in the Philippines, it is difficult to imagine that people would really give up lighting up firecrackers in front of their houses. But it has happened. I can just imagine if only a similar success rate can occur with basic education. 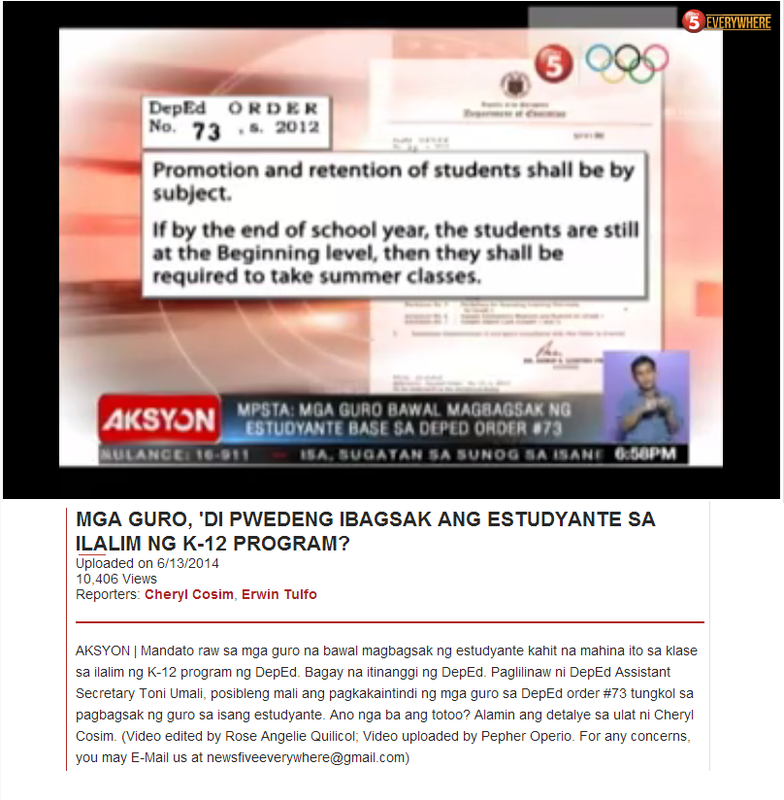 Lowering the number of school dropouts by a similar percentage, 65 percent, would definitely be astronomical. 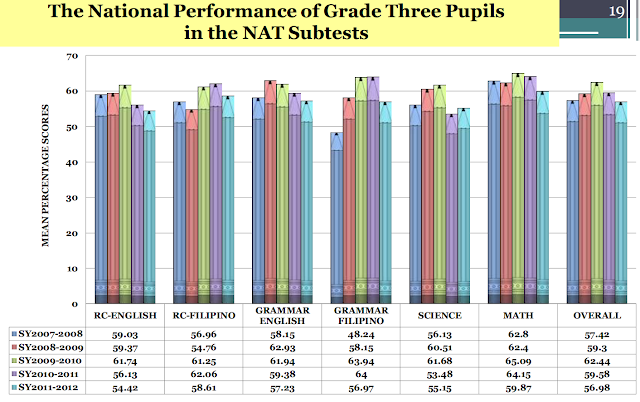 If the number of students not reaching a proficiency stage in the National Achievement Test is reduced by two thirds, that would be indeed a great national achievement. It is just the second day of 2018, so we can dream. Sean F. Reardon at Stanford has shown that in spite of poverty, there remains an opportunity for growth and learning in public schools. 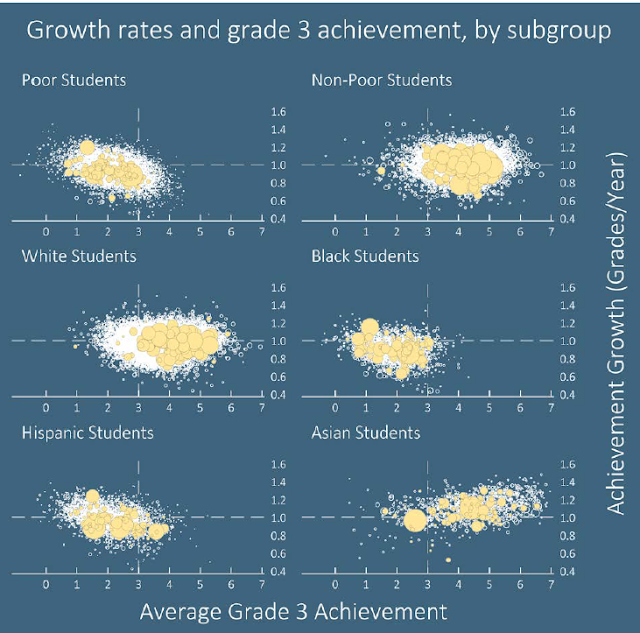 The nationwide data from the United States covering the years 2008-2015 and 45 million students show that even in poor school districts, students can thrive. On the top panel of the above graph, one can easily see that poor students who demonstrate low achievement in third grade are still able in a significant number of school districts to grow academically more than one grade per year. It is possible to overcome the disadvantages poverty brings to basic education, but we must do the right thing. Provide adequate resources so that public high schools can indeed offer the two additional years in high school to every student. Raise the salaries of public school teachers. Ensure that all students are provided recess periods and opportunities in the arts and music. Allow math and science teachers to decide how students should be taught in these subjects. Invest more time and greater care in the production of learning resources such as textbooks. Support financially not just in words but in true action college instructors who are now pursuing their graduate degrees. Relieve or fire erring, incompetent or corrupt administrators, policy makers and implementors in both Department of Education and the Commission on Higher Education. If a fireworks ban is possible, any one of the above is likewise.